Remember the SMRT case where two trainees were killed whist on the job on the 22nd of March? It is not over yet. At the State Courts today, SMRT and two of its employees were charged over the accident that happened earlier this year. The company had failed to ensure that its employees complied with approved operating procedures when accessing the track between Tampines and Pasir Ris MRT stations. It was also alleged that they did not ensure procedures practiced by employees access the track passed safety audits were documented and disseminated. Being charged under is the company’s director of control operations, Teo Wee Kiat, 40. Lim Say Heng, 47, was the other employee to answer to the charge. 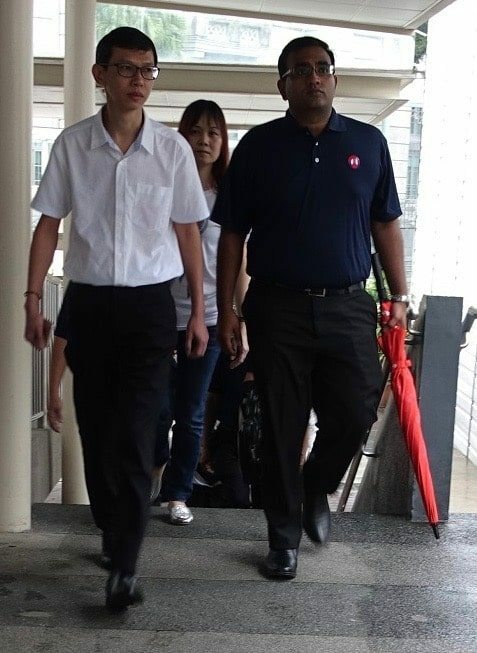 Lim was SMRT’s officer-in-charge of the work party which inspected the tracks on the day of the incident. He is alleged to have failed to ensure necessary safety measures in place; namely preventing trains from entering track before operations staff accessed it . The negligent act is alleged to have lead to a train hitting the two interns. Both Lim and Teo were part of a party of 15 SMRT employees led by Lim to carry out inspections on the train tracks. The six signalling workers and nine track workers were using a dedicated maintenance walkway near Pasir Ris station to check a possible fault in a component. As they approached the device, the signalling team (led by a supervisor) stepped onto the track. If convicted, Lim faces a jail term of up to two years and a fine. Teo faces a fine of up to $200,000 and/or a jail term of up to two years. SMRT Trains faces a fine of up to $500,000. Executive Secretary of the National Transport Workers Union, Melvin Yong said that the union is fully behind Lim and ensures that he would be fairly represented. The NTWU maintains that due process and to allow justice to take its course with established facts and hearings is important and necessary before conclusions could be drawn.